The Matukituki Valley is known for its stunning views, but they’re better when experienced from above. 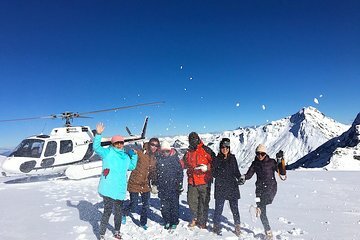 This helicopter tour gives you the chance to see a lot of the valley’s remote backcountry and Mount Aspiring National Park from the sky during a roughly 25-minute flight. You’ll soar above one of New Zealand’s most beautiful areas and touch down on snow year-round. Last minute we upgraded to a glacier landing. Experienced and knowledgeable pilot. This is a must do.